I am so happy to announce our new imprint, Everheart Books. This imprint will feature digital books by writers of romance & erotica. What’s even more exciting is that this arm of Central Avenue Publishing will be in large part run by Meghan Tobin-O’Drowsky. Meg and I met last year, largely due to our mutual respect for the I Wrote This For You project. Since that time, she has edited several of our books and every author who has worked with her has only the highest praise for her work. 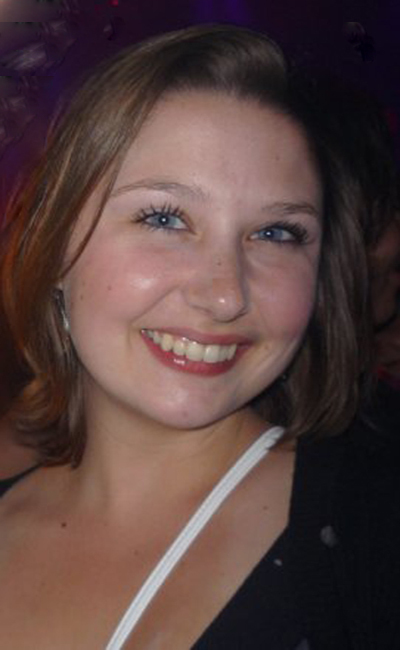 Meg is a graduate of York University whose fervor for publishing began in high school. Her previous experiences include writing for Glendon campus’ newspaper Pro Tem, editing and writing for St. Michael CSS’ The Guardian, and designing the Perth District Health Unit’s Think magazine. Meg’s attention to detail and ability to pick out great stories has been a great service to Central Avenue Publishing and we’re so pleased she’s come on board. We announced a soft release of the imprint late last week and opened up submissions for the first time in over a year. We have already received a few great queries so far and are excited to move forward with launching new titles. If you write romance in any of the sub-genres, we invite you to submit. 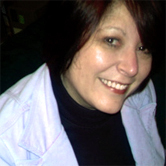 So stay tuned for some great books by some more great authors – all run by one great gal. This month we’re pleased to release the second book in The Twice-Baked Vampire Series – Monkey Jump. A fun, and fast moving adventure, Monkey Jump is Urban Fantasy at its best. If you love vampires, leprechauns, witches, muses, or any other preternatural being you can imagine, you’ll love this book. Gabriel Strickland is back, that double dead vampire who was staked by a broken bat at a major league baseball game he had the misfortune to attend. Now he’s in charge of a whole slew of other ‘dead’ beings as they await word on their final destination at a holding tank in Hollywood. But Gabriel’s new at the job, so he’s sent on a tour of other tanks – only he gets waylaid by a witch with her own agenda and ends up north of the Arctic Circle in a frozen town full of shifters, vampires and regular folks. But when a rare threat hits the town just at the worst time of the year – the never-ending night of the north – Gabriel must join forces with the others or else the world will face a threat it hasn’t seen in centuries. Join the fun as Riley-Magnus continues this saga of an ill-fated vampire, his muse and his wacky sidekicks. Every once in a while I run across a great interview. This one is about someone I know fairly well, one of Central Avenue’s authors, Dean Mayes. He’s written one of our best sellers, The Hambledown Dream – a hauntingly romantic love story which crosses continents and the boundary between life and death. In this interview, conducted by the very funny Molly Hacker, we learn a little more about Dean, his road to publication and his thoughts on the publishing industry as a whole. A personable and interesting guy, you won’t be disappointed in this interview. And if you’re up for a fun read – check out Molly Hacker Is Too Picky! 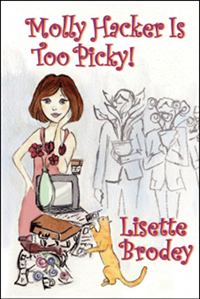 by Lisette Brodey – on sale for only $0.99 at Amazon for a limited time.